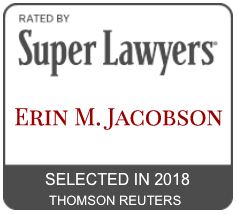 music attorney los angeles - Erin M. Jacobson, Esq. May was actually a little quiet on legal issues making the news. However, the big news was really a tragic one. The world lost another amazing artist, Prince. His death was unexpected and shocked his fans and all of us in the industry. A great artist who leaves a great legacy. Minnesota proposes a law to prevent exploitation of Prince’s name and likeness. Alanis Morissette Claims Ex-Business Manager Stole $4.7M. Journey sues Monster for cancelling their performance. Kesha’s legal team still trying to continue their lawsuit in CA. I am pleased to announce that I have been elected to the Board of Directors of the California Copyright Conference. The California Copyright Conference is a longstanding organization of music industry professionals focusing on copyright and other industry issues. I am honored to have been chosen by my colleagues for this position. Contact me now to draft or review your management agreement. Is the “Poor Man’s Copyright” enough to protect your songs? The short answer is no. A work that meets the standards of originality is considered to be copyrighted under United States law when that work is “fixed in any tangible medium of expression,” (17 U.S. Code §102) which means that the work is put into a physical medium that can be reproduced, like writing it down, recording it on an audio or video recorder, etc. The Poor’s Man’s Copyright is a practice where someone would take a work they had created, put it in an envelope, and mail it to himself via the United States Postal Service. Because the Postal Service would stamp the envelope with a postmark that had the date of mailing, it is argued that the date on the envelope proves that the work was created on or before that date. Otherwise, if the person hadn’t created it yet, how would he have mailed it to himself? Now with the Internet, the argument people try to present to me is that once a person posts something on the Internet, the timestamp of the posting is enough to show that the work was created on or before the date that it was posted online. There are a few reasons why the date or time stamp is not enough to protect a work. Firstly, while as a matter of logic the work had to have been created on or before it was mailed or posted, it doesn’t dictate when the work was actually created. For example, if Person A creates a work in January of a certain year, but does not mail or post it until September of that year, the date/time stamp Person A seeks to use as evidence will be in September. If Person B someone how access to Person A’s work, copies a portion of that work, and releases and/or registers his new work for copyright in July, then Person B’s work will have a date of July and Person A’s work will have a date of September without concrete proof that his work was actually written in January and before Person B’s work. While it is true that Person A could show that Person B had access to their work, a date on a federal copyright registration certificate will almost always trump the date/time stamp and other date evidence. In addition, if Person A had registered for federal copyright protection, he could have indicated that the work was created in January even if he filed later. Furthermore, Person A could not even sue for infringement in federal court without having a federal copyright registration, leaving him without strong options to defend his work if it was infringed. A person cannot sue in federal court for copyright infringement without a federal registration. The date of creation listed on a federal registration certificate is the strongest evidence a court will consider. Statutory damages and attorney’s fees (i.e. more money!) can be awarded to the winner of an infringement suit (if certain conditions are met). A person can register his own works for copyright protection, and the online registration fee ranges from about $35-55. However, the terms and application can get complicated, especially for someone who has never filed a registration application before. You don’t want to later find out that your copyright is invalid, like Rick Ross just did. Contact me to file the registration so it is done correctly the first time. Registering works for federal copyright protection won’t prevent someone from infringing, but it does provide the strongest ammunition to protect creative works. This article was originally posted on Sonicbids.com. *Term coined by Erin M. Jacobson, Esq. I talk about the numbers. Is It Ever Worth It to Give Up Copyright Ownership of Your Songs? A Music Lawyer Explains. Retaining ownership of the copyrights may be one of the most important decisions in an artist or writer’s music career. The person who owns the copyrights is the one with the control over how those works are used and also the one entitled to the money earned from those uses. However, sometimes holding on too tightly to copyright ownership may prevent an artist or writer from taking advantage of opportunities to grow his or her career. The age-old adage that sometimes you have to give a little to get a little is true, but one needs to look at the opportunity cost and decide if giving something in a specific situation is worth what will potentially be gained. Here are a few instances when giving up copyright ownership may be permissible. 1. When it will make you a lot of money. I’m not suggesting one should sell out just for a hefty paycheck, as sometimes dollar signs can’t substitute for artistic integrity. I’ve also seen a lot of deals (especially in music library situations) where an artist or writer is being offered just a few hundred to a few thousand dollars in exchange for full or partial copyright ownership of a song that is really valuable to the artist or writer’s catalogue and career. In this instance, such a small amount of money may not be worth the control and potential revenues lost later if the song does well in the marketplace. On the other hand, I have some clients that write consistently and don’t care about giving up ownership as long these songs will churn out money, especially for placements. They feel they can always write another song and are more concerned with making their music earn money for them over crafting songs to define their careers. 2. When it will give you opportunities you wouldn’t get otherwise. This is a situation where working with a certain company, or in many cases a certain producer, will be able to propel an artist’s career forward and help that artist achieve notoriety that wouldn’t be achieved otherwise. As mentioned, a typical example of this is working with a big producer who is considered to be a hit-maker in the industry. Often these producers don’t even co-write on the compositions, but granting them a percentage of songwriting ownership is mandatory for being able to work with them. After all, one could retain 100% of a song that most people will never hear, or one could give up 20% and have the song hit top ten, make a lot of money, garner name recognition, and bring the artist more opportunities than the artist would have gotten otherwise. In this case, it seems like a small trade-off and can be used as a means to an end – one might have to give up some ownership in the beginning of a career, but that could lead to a level of status in the industry where one can retain ownership and call the shots on future projects. 3. When it is in line with your goals. A new artist seeking a label deal, especially a major label deal, will not own their masters. An up-and-coming writer wanting a publishing deal will have to give up all or part of songwriter ownership. This is what comes with the territory of growing one’s career via the traditional industry structures. It also makes sense from a business standpoint because a label or a publisher is not going to invest time and money into an artist or writer without getting something in return , and part of their return on investment is ownership of intellectual property. However, if an artist has a vision of making a living off of music in a completely DIY structure, or that the freedom of complete control is more important than working with others more established in the industry, then sharing ownership might not be the right choice. Longevity and sustainability in the music business, especially in its current state, comes with catalogue ownership. Giving up ownership comes with some loss of control, but that loss of control may lead to notoriety and other opportunities putting one in a position of control higher than would have ever been achieved otherwise. Whether to give up copyright ownership is a big decision, and it is one that should be discussed with the artist’s advisors. The choice right for one artist may not be right for another. The decision will come down to what is right for each artist’s career. If you need help deciding whether to give up copyright ownership in a deal you’ve been offered, book a consultation now. This article was previously published on Sonicbids.com. The artist-manager relationship is one of the most important relationships in an artist’s career. The manager has to “get” the artist and the artist’s artistic vision, but also needs to have the knowledge on how to translate that vision into something that will generate mass appeal and profits. The manager also has to have the business acumen and connections to generate opportunities for the artist so that his or her career can grow. An artist needs to be able to trust the manager, feeling that not only is the manager knowledgeable, connected, and in tune with the artist’s essence, but also that the manager is at all times acting in the artist’s best interests instead of serving the manager’s own needs. Management agreements have several important aspects that need attention and often, negotiation. The first of these aspects is the term of the management agreement. I explained what a contract term generally means here, and for purposes of this article the “term” will refer to the length of the relationship. Traditionally, management agreements have a term between three and five years. Managers typically would want four or five years because, as they often argue, it takes a long time to create the momentum needed for an artist to really start seeing success. From a manager’s perspective, this can be true and also gives the manager the opportunity to still be representing that artist when success comes; that way the manager can receive a full commission rate at the artist’s higher income level instead of earning a percentage of the low (or no) revenues artists usually earn at the start of their careers. On the other side of this, artists usually want to sign with a manager for the shortest amount of time possible, which allows the artist to get out of the deal faster if the manager is not delivering on promises or things just aren’t working out. There is almost nothing worse for an artist than being stuck in a bad deal that hinders the artist’s career by blocking potential opportunities while the artist waits for the deal to end. These days I have been seeing even shorter terms on management deals, often one or two year initial terms with at least one option period attached. Both parties really need at least a year to get enough momentum going to start seeing some increased success, but it seems the management deal is following the trend of all deals in the music business by shortening terms to try to reduce risk. What people tend to forget when thinking about the length of an artist-manager relationship is that terms can always be renewed. If the contract term length is on the shorter side, the parties can always renew the agreement at the end of the term if they still desire to work together. The parties don’t have to part ways just because a piece of paper set a time limit at some point in the past. On the other hand, if the parties feel it is time to move on, they have the freedom to do that knowing they gave it a fair chance during the time period they originally allotted. Part 2 of this series will cover management commissions. Contact Erin now to draft, review, or negotiate your management agreement. What’s the Difference Between a Music Library and a Music Publisher? Sony Music broke their silence on the Dr. Luke/Kesha dispute. Sony can’t let Kesha out of her contract because Sony is not actually a party to the contract. Kesha is signed directly with Dr. Luke, and then Dr. Luke licensed the agreement to Sony. Quincy Jones is suing the Michael Jackson Estate for new production changes to the original tracks he produced. The Copyright Office claims Rick Ross’ original copyright registration for “Hustlin'” should never have been issued, and therefore he has been relying on an invalid registration. The music industry has lost another great member. Producer George Martin, best known for producing The Beatles, passed on at the age of 90. Mr. Martin produced many other acts besides The Beatles, but through his work with the world’s most famous band, he changed music forever. I often am asked for my thoughts on Spotify and whether artists need it. Adele and Taylor Swift are not on Spotify and sell millions of albums. These artists are already big enough that they will sell albums regardless of whether they are on Spotify. Spotify streams actually compete with these artists’ sales because there are many people who will stream the album instead of buying it and the royalty rates for streaming are much smaller than what an artist of this caliber will earn from a record sale. An artist would have to have the album streamed many more times than purchased to earn the same amount of money in royalties. For independent artists, Spotify can be a promotional tool — another distribution channel for new fans to discover your music. Again, it’s not about the money earned from streams, as for most indie artists that is even less than what established artists earn. The hope is that once these new fans discover the indie artists, they will sign up on their email lists, go to their shows, buy merchandise, etc. and money can be earned that way. While indies probably won’t earn money from Spotify, if it helps them gain new fans then it may be worth it. If you can be found without Spotify and streams will actually compete with your album sales, then it might not be worth it. Have questions on how Spotify relates to your career? Contact Erin to book a consultation now. I recently did an interview on the The Gen Y Success Show and this has been one of my favorite interviews! It’s a little different than some of my interviews because it’s not about the music business — this interview is about my path in becoming a music attorney, my love of music (and a few examples of my favorite bands and concerts), my tips on how to network effectively, and more!